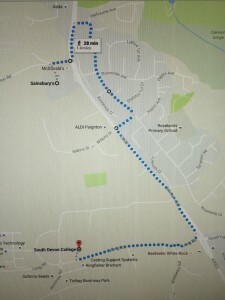 My daughter attends stage school in Paignton on a Saturday morning and, as we live in Teignmouth, it’s just that bit too far to get home and back. Hence, like many other parents all over the UK, we end up hanging around for hours wondering what to do with ourselves whilst our little ones are oblivious to our plight. Last weekend I thought I had a fantastic solution. I would get my fitbit footsteps up and take my two year old for a walk in his buggy. 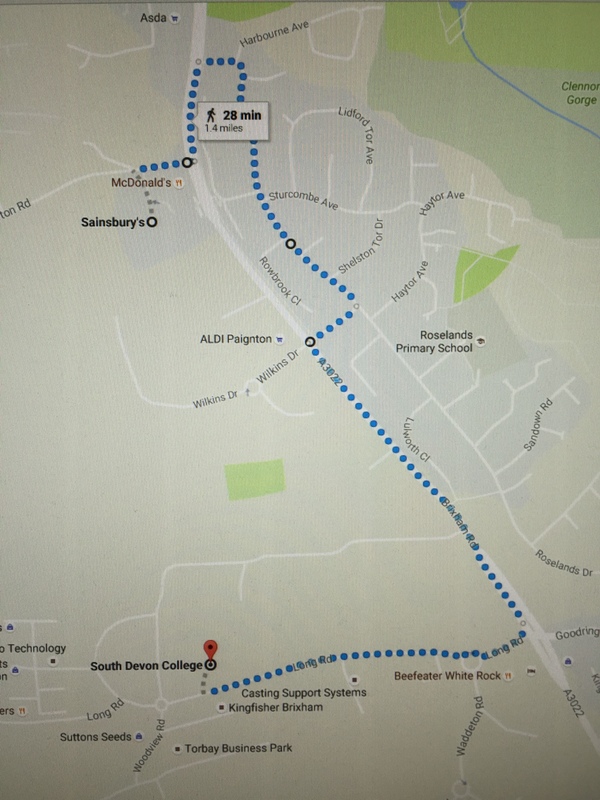 My daughter’s stage school is located in South Devon College, Paginton and there has been some substantial investment in new pavements and footpaths in the area, plus I needed a few things from the local Sainsbury’s, not far away but far enough to look impressive to my fitbit! What I didn’t bank on was how difficult that was going to be with a buggy! on the opposite side of the road. 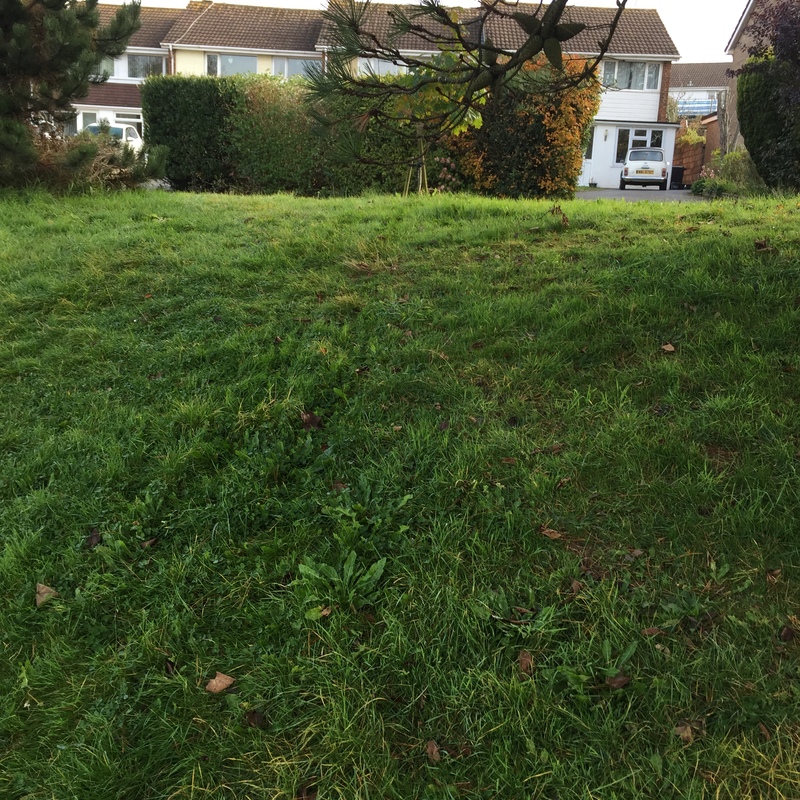 This is where it got complicated as I now needed to cross the road but to do this I had to cross at a set of traffic lights without any pedestrian give way after pushing the buggy over a grass verge. As if that wasn’t dicing with death enough, once I crossed the road there wasn’t a pavement in sight! Feeling relieved I had even made it in one piece to the supermarket, I then had a giggle to myself to find that there was a bridge over the road I had missed on the way. That would make things easier I thought mistakenly. 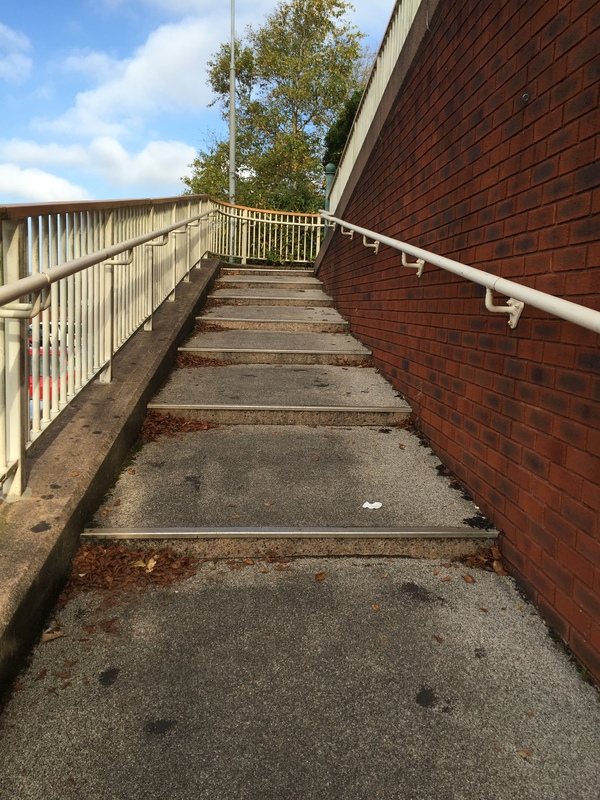 After our bit of shopping, I then discovered that there was no ramp to get to the bridge. So I had to push the buggy up all the steps to access the bridge. Once getting over the bridge I found two dead-end roads and one going in the opposite direction to where I wanted to go. So now to get back on the nice new footpath I had to abseil down a very steep bank. As I’ve had a big gap in my children, I had forgotten how difficult it can be getting about with a buggy and how little Council’s take this in to consideration when designing roads and new footpaths, especially as most Council’s are desperately trying to get us to give up our cars and use some form of alternative transport. 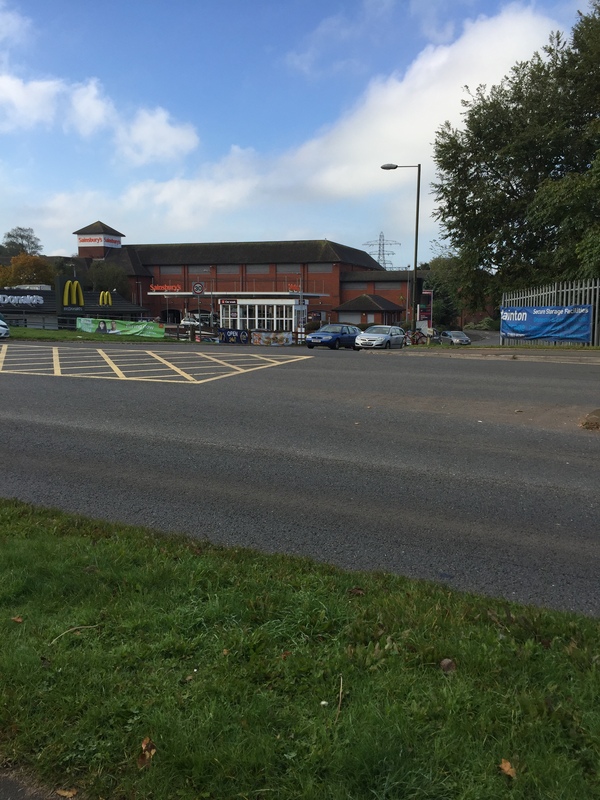 Furthermore, with an obesity crisis, isn’t giving us safe footpaths to walk on and get exercise all part of the solution. How those with a double buggy manage and the disabled, I don’t know? Come on Devon! It should be easier for us to get around than this! It’s almost time for the children to return to school, I know I can’t believe it myself, and it’s around this time every year I promise myself to religiously do my child’s reading book with them every night after school. Like most New Year resolutions, I never manage to keep to it as, in a busy house, other things often take over. However, this year I’m determined, as I am well aware how important a task it is. I love reading bedtime stories to my daughter, so I’m not sure why I have so much difficulty getting up the enthusiasm to do her school reading book. It hangs over me from the time she gets home till she goes to bed, and I find all sorts of tactic’s and excuses to avoid reading it. I’ve given this some thought and have decided that this is because when I’m reading my daughter some bedtime stories, we are in the calm of her room, lights are low and we are beautifully snuggled up together. The whole activities is filled with love and bonding. It’s such a lovely experience that needs to be treasured and cherished before they no longer even let you in their rooms! Not quite the experience you get from the school reading book exercise! Constant correcting, encouraging and having to exhibit huge amounts of patience. The stories are so bland and uninspiring, which really doesn’t help! I’m also now putting my third child through school, plus numerous foster children so I know most of the Oxford Learning Tree Biff, Chip and Kipper books off by heart! 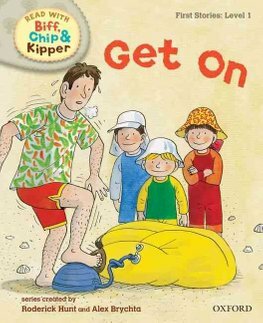 This set of books are used in most primary schools in the UK, so if you’re a parent, they will be well known to you. They say there are over 800 of these books, but in reality, schools only have a few for each level, so if you have more than one child going through the school, it does become very repetitive. However, these books have been around now for 30 years and do a much better job than the Janet and John books in my day! These books used the “look and say” method and probably account for the fact that I’m such a bad speller! 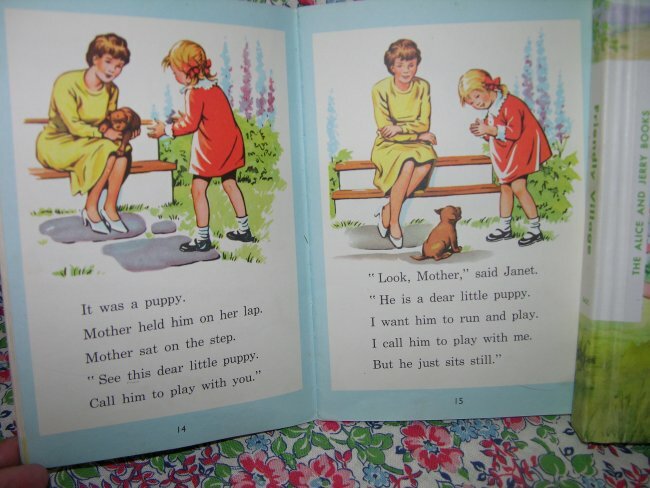 When I started researching the old Janet and John books, I was fascinated to discover that they have been making a big comeback! 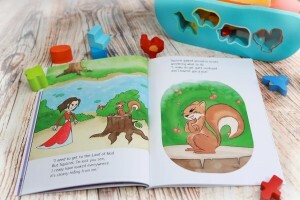 You can now download them on your Kindle within minutes and read with your children. Perhaps it is about time there was an alternative to Phonic based reading as there is never a “one size fits all” learning tool. So bring back Janet and John I say! I have thought about swapping the bedtimes stories for the school reading book but by this time at night we are all too tired. Add to that the fact I am trying to get my daughter in a restful state ready to doze off and not stressed out, it’s definitely not the right time of day for more learning. So I am going to just have to make the effort to set aside a time every evening to do her reading book with her. Lily and I have discovered that our favorite bedtime stories are those that are not too long, have text that you can read in dim light, the pictures that are engaging and stir the imagination. The basis of the story must have content, rhyme and substance. When I thought about writing my bedtime stories for my daughter, I took all these things in to account. I found myself filled with dread when she picked some bedtime stories we have, as they go on for ages, so I thought about the length of the book. I also wanted the book’s text to be readable in dim light which I found wasn’t always possible where others put the text across the illustrations. Bright and engaging illustrations were also a must. 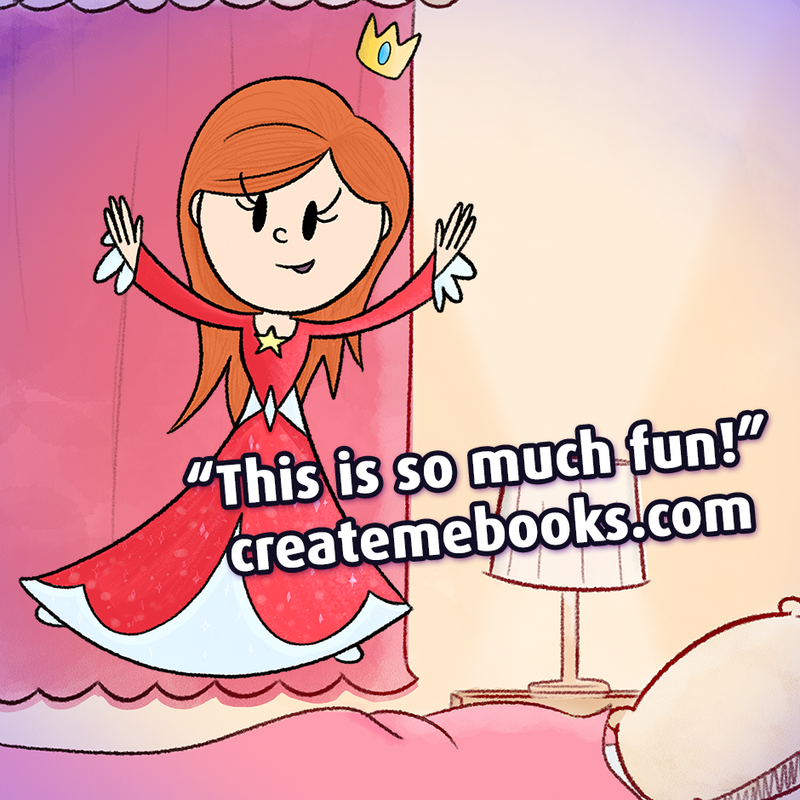 All in all, I think I managed to cover all these points in my bedtime stories available at Create Me Books making it the perfect bedtime story. 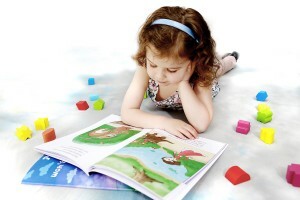 The Bookseller report 2015 reports that the children’s book market has grown 3.2% in 2015, thanks to gains in picture books, fiction and colouring-in titles. 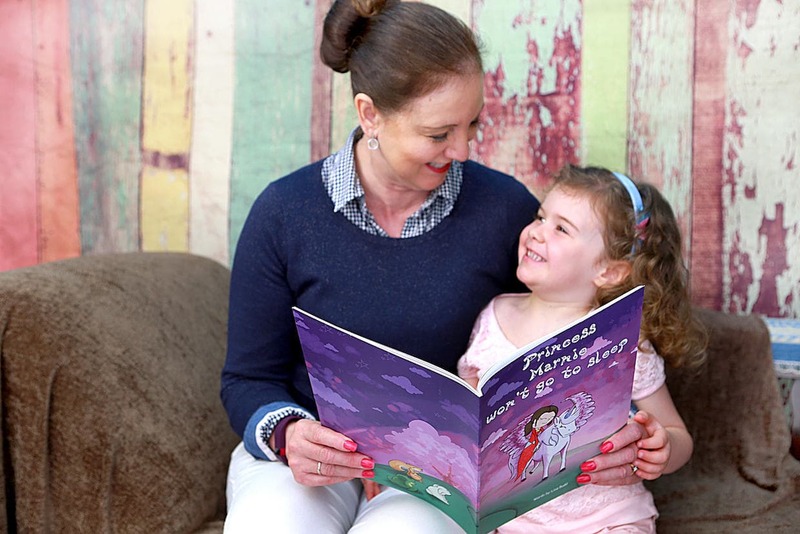 So, just like my daughter and I, lots of other parents are enjoying reading to their children. In this day and age of computers, I pads, Kindles and alike, it’s good to know that print is still best and proves we are still a book loving nation. Long may it continue? Since January, when I started this weight loss thing, my evening treat has been a hot chocolate and kitkat. I began to notice that I was sleeping much better but just put it down to a better diet and running around after 4 children under 5! Then over the past two weeks we have had some sunny days and light evenings and a hot chocolate just seemed more winter than spring, so I went back to a cup of tea. After about 10 days it dawned on me that I was not sleeping as well as I was when I went to bed on a hot chocolate. I was restless and, although I fell asleep quickly, it didn’t last and I tossed and turned thought out the night. So it got me thinking – was there anything in a hot chocolate, made with milk, that enhanced sleeping? Some studies say that, a warn hot cup of milk can aid sleep but when you add hot chocolate powder, which contains high levels of xanthines (caffeine and theobromine), which are stimulants, it could become counterproductive. Popular folk law has it that Casanova drank hot chocolate at night so that it gave him the boost he needed to stay up all night love making! Not the reason I was drinking my hot chocolate, I hasten to add!! 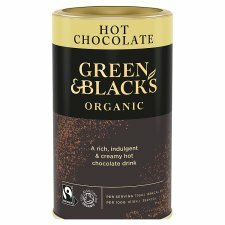 So bang goes my theory that my nighttime hot chocolate aided my restful night’s sleep. It appears I should have stuck to a good old fashioned warm glass of milk! Insomnia advice – a milky drink and hot bath? So far this one is my favorite. It’s chocolaty but not too sweet. In January 2014, whilst away in Egypt, we were the victims of a burglary. I remember, to this day, how my heart sank when I realised my husband was on a call from my son back in the UK and the reason for his call. When we returned home early from our holiday because of the burglary, of which I have to say the holiday company reps were absolutely useless, the true extent of the items stolen really hit home. All my jewellery, and the sentimental value attached to them, had been stolen. I was devastated. However, it has not been until recently that it has dawned on me that I have absolutely nothing of any generational value to pass down to my children. I often imagined giving one of my sons my Great Granmothers engagement ring for him to propose to his wife and to enjoy many years seening her wearing it, and the ring moving further down the generations. However, all of that disappeared in the burglary. All of my Grandmothers and my Great Grandmonthers rings was stolen in the burglary so now all I have left to leave my children are rings that I have acquired from my husband, such as my engagement ring. I guess what I’m really trying to say is that, when they stole all my jewellery in the burglary, they took away from me the chance to pass them down to my children along with the stories attached to those pieces of jewellery. The names of those who owned them the reason they received them. Tales of my grandmother’s wedding ring and all the love in that story. All gone. It’s truly sad. I have worked really hard since the day I left school to earn a good wage to enable me to buy myself a nice lifestyle. I’m not rich financially but I’m rich in different ways, I have a great family and we love doing simple things like days on the beach with a disposable barbecue. So I asked myself, what right did these people, or any other human being, have to break into somebody else’s home for financial gain and take their family history from them at the same time? Even though years have passed, this burglary still continues to play a part in my life and, I’m sure will continue to for years to come. If you ever been burgled and have a story to share please feel free to add it to our Facebook page or blog it here. We love hearing from you. Buglary Crime Stats 2015 make interesting reading! This weekend was more can’t get to sleep than won’t go to sleep! Why? Well the age old story of a 4 year old with a cold. When I first wrote won’t go to sleep for my daughter, little did I know how apt it would be for this weekend. Friday night started where we got in to bed and had a magic hour of sleep until the door slowly opened and little feet came in the room. As normal, even though I am closer, she will walk around the bed to Daddy’s side. This for a minute isn’t because she loves Daddy more than me but at 4 she already realises that Daddy is a soft touch and will collect her up in his arms and dump her in the middle of the bed between the two of us without question! Now from experience I, like all other parents out there, know that small children have a faulty gene, they are totally incapable of lying straight down a bed. No No they have to lay diagonally. This may not bother you too much if you get their head snuggling in to your armpit but if your the one that gets the feet your likely to be kicked mercilessly like a punch bag throughout the night. Along with constantly being woken to wipe a runny nose and dose up with Calpol, Saturday morning I awake feeling as if I had done 10 rounds with Mike Tyson. Saturday night started off with so much promise. My husband and I sitting down to unwind and chill out to Die Hard with a vengeance. At the end we took ourselves off of to bed for a well deserved nights sleep – or so we thought. Before we were even in bed, our daughter wondered in saying she was feeling unwell. I gave her some calpol and she decided to get in to our bed. Both feeling sorry for her, and thinking that she probably won’t go to sleep in her own bed being totally full of cold, we allowed her to stay. Mistake number 1. After about 10 minutes she started crying saying her ear hurt. This continued until 2am in the morning just before I was about to call for some medical advice. Finally we get some sleep. However, I now awake in the morning feeling like I had drunk 5 bottles of wine and danced on the table all night but without any of the fun, whilst our daughter jumps out of bed singing away to herself off to the kitchen to get breakfast! Oh for youth and resilience! So the book I originally wrote for Lily, won’t go to sleep, appears to have been perfectly apt this weekend. My personalised childrens book and modern technology! Just had a super meeting today with my personalised childrens book Marketing Team. I have to say that when I came up with the somewhat mad scheme of a personalised childrens book, I never realised how out of date I was with regard to technology. I, like you I’m sure, like to think I am up to date with apps, social media like facebook and twitter, but since I have started this project I have been amazed at how little I knew. Now I’m of the age when we got excited because typewriters could remember about 50 character strokes, so you could press a button and it would automatically type out your signature title at the end of a letter. So to get this personalised childrens book off the ground, I have had to go back to the school of technology and it’s been hard! However, I have learnt how to use google analyics, Adwords, adobe voice, and many more tricks of the trade. As for Blogging! That was a total revelation! As we had a twitter and facebook page to help generate interest in our personalised childrens book, we also had to add a blog page to our website. But you know that if your reading this! Blogs were something I knew nothing about let alone bloggers. 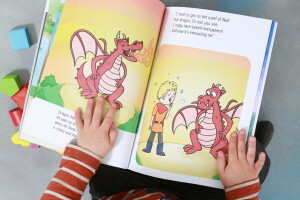 However, I have to say how fantastic these bloggers have been in helping review my children’s personalised book and helping spread the word of www.createmebooks.com and get it out there. So one thing I have learnt on this amazing journey that came from an idea I had during recovering from surgery is YOUR ARE NEVER TOO OLD! And that saying “you can’t teach and old dog new tricks” doesn’t apply anymore. So a great big thank you to our marketing team for putting up with me constantly emailing and asking “how do I do this”. Still if they think I was bad they should watch the poor man below who had been in prison since 1970’s and when he came out could’t work out why we were all taking to ourselves! Hope your not as bad as him or are you? Does anybody else find the lack of Film Age Ratings on pre-watershed films increasingly irritating? I Do! And why is this? Well, not only do I have my own 4 year old in the house but also foster children of various ages that, for obvious reasons, I’m not supposed to let watch an 18 certified film if they are only 13 years old. I often try to look up on the guide that’s on our TV the film age ratings but they vary rarely have them. They can tell me the date the film was made but not what the film age ratings are! This is also a problem on Netflix too! I remember not long ago seeing a film on TV that my husband and I had seen and had thought it would be fine to let our 14 year old foster daughter watch. We tried to see if the film age rating was there, but it wasn’t. We then discussed the film between us and couldn’t think of any scenes that would be inappropriate – that was until we started watching it! It soon got turned over and there were two red faces in the room, one of which was not our foster daughter! I can also remember going to live in America some 20 years ago and being amazed that the movie Halloween was on in the middle of the afternoon. No watershed there then! Now it looks like it’s happening here! I’m not happy about this drop in the watershed standards as I, as a mum and foster mum, don’t want the children in my care to be able to view non age appropriate films or TV content, after all, isn’t that what the certificates are for? So you can pick and choose an age appropriate film to suit your audience? If not, what is the point of having them? So could the TV Guide and Netflix and all other guides out there start advertising their films age rating so that mums like me can make sure our children are watching age appropriate content! If you have any thoughts on film age ratings then I would love to hear from you.